Arimidex won't work on hormone-receptor-negative breast cancer. Arimidex shouldn't be taken at the same time as tamoxifen. 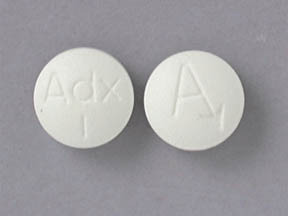 Arimidex is a pill taken once a day. Most doctors recommend taking Arimidex at the same time each day. Arimidex is a first-line treatment of breast cancer in postmenopausal women. It slows the growth of advanced cancer within the breast and cancer that has spread to other parts of the body. 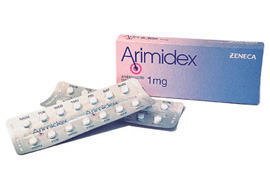 Arimidex is also used to treat advanced breast cancer in postmenopausal women whose disease has spread to other parts of the body following treatment with tamoxifen, another anticancer drug. Arimidex can also be prescribed along with other drugs to treat the early stages of breast cancer in postmenopausal women. Arimidex combats the kind of breast cancer that thrives on estrogen. One of the hormones produced by the adrenal gland is converted to a form of estrogen by an enzyme called aromatase. Arimidex suppresses this enzyme and thereby reduces the level of estrogen circulating in the body. This medication is used to treat breast cancer in women who have gone through "the change of life" (menopause). Anastrozole works by lowering estrogen hormone levels to help shrink tumors and slow their growth.